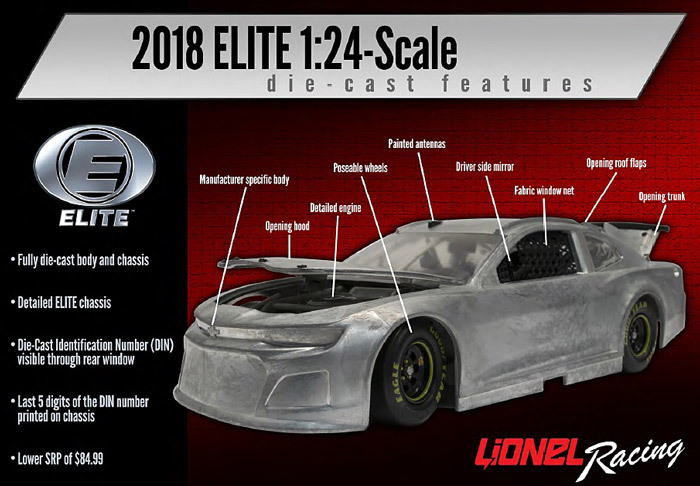 Lionel has made several new changes to the 2018 Diecast lineup. 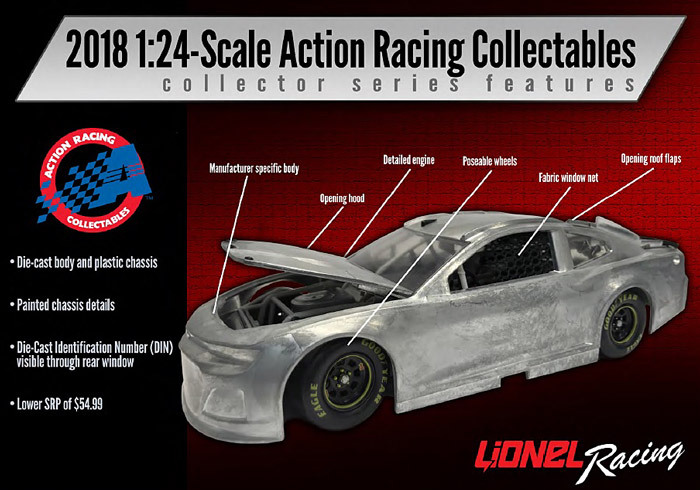 Lionel will now be offering an all new ARC Collector Series version with updated tooling for the 2018 NASCAR Cup Series cars. This includes the 2018 Chevrolet Camaro ZL1, 2018 Ford Fusion and 2018 Toyota Camry. The biggest change for 2018 is that the trunk will not open, but the price will be less $54.99. In addition to the New ARC Collector Series we will now be offering all cars in the Action Elite version, at a lower price of $84.99. 1:64 cars will remain the same for 2018 with a $7.99 price.